Super Fast, Ulta-Lightweight & Oh So Sultry! 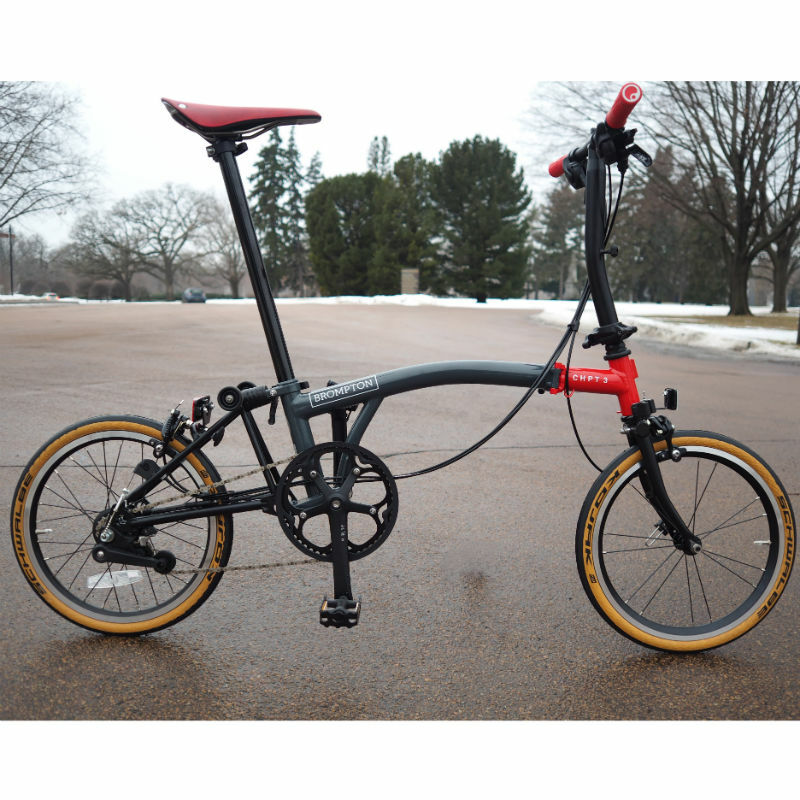 This super high quality and ultra-lightweight front wheel is a perfect fit to your Brompton. It will make your Brompton bicycle faster, lighter and yes, very sultry. The minimalistic American Classic Micro front hub with stainless cartridge bearings looks so clean and simple, yet has a world of durability and high mileage built into its design. Designed specifically for paired-radial wheelbuilds, this hub shape prevents the spoke tension from interfering with the smooth running cartridge bearings, so you're sure to get many miles out of this wheel. The Velocity Dyad rim is the highest quality rim available for a Brompton; it is a semi-aero shaped, double-walled alloy rim that will roll on and on. This is a pro-level lightweight wheel with a huge level of durability. We've built a lot of wheels using the Velocity Dyad rim (in a variety of sizes) and the trueness and roundness is beyond compare. This Pro wheel would be a superb upgrade for any Brompton, especially the Superlights sold without the Superlight front wheel (mid 2013 - 2015). These rims are setup for presto valve tubes. If you are intending to use your existing tube from a stock Brompton, choose Schrader Valve as your valve type and we will set up the rim for schrader valve tubes. The American Classic Pro Wheel for Brompton does not come with a wheel skewer & washers. Add the Skewer w/washers if you do not have these already. If you have a double walled Brompton rim on your current bike, then the rim strip from that wheel can be used on your Pro Wheel, though we recommend cloth tape. If you choose cloth tape as your Rim Strip option, we will instal it on the wheel for free. The Velocity Dyad is slightly more "V" shaped and slightly wider rim than the stock Brompton rim, though you have to study a bike pretty closely to actually notice that the rims are different. While we are happy to build you a (or rebuild your existing) rear wheel with a Velocity Rim, it is not necessary from an aesthetic point of view. Pro Wheel on front and standard Brompton wheel on rear. Installing a Pro wheel on any Brompton will require a slight brake adjustment (usually this is simply loosening the brake a bit due to the rim width).